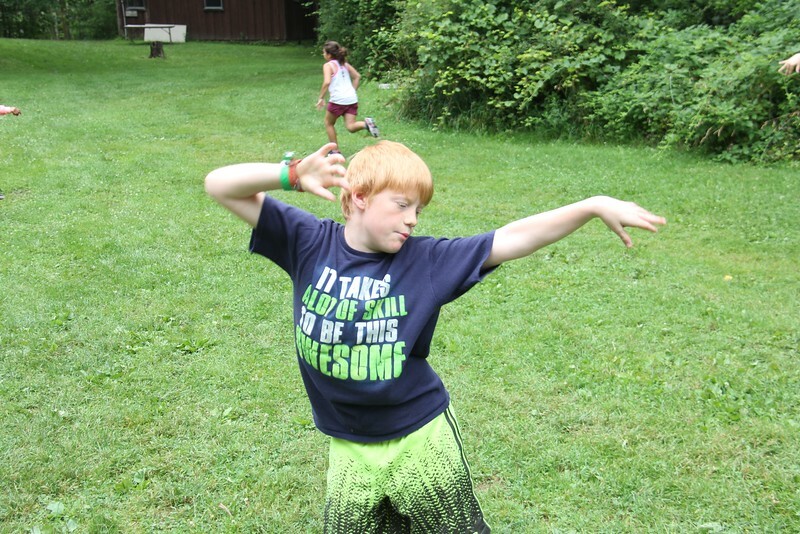 Here is a brief recap of all of the fun that your campers had this week! ###Water Balloon Fun! Check out this video of the turtle girls as they clobber their counselors with water balloons! For lunch today, campers got to enjoy a picnic in the sun! At the waterfront, they enjoyed hot dogs, baked beans, oranges, grapes, celery, carrots, potato chips, and s'mores for dessert! Today at discovery time, campers learned about the concept of Godly me, by hearing the story of David rejoicing at the return of the ark of the covenant! Follow along by reading II Samuel 6:1-19. For their final breakfast at camp, campers got to enjoy pancakes, crispy potatoes, and sausage patties. Not one person went away hungry!
! (/content/images/2015/07/thursday-friday-3.png) ###Worship Blog ! (http://impact2818.smugmug.com/photos/i-9j74Gfr/0/L/i-9j74Gfr-L.jpg) Tonight at Vesper Hill, campers learned about how God has the power to forgive each and every one of us. Campers wrote down various things that they were sorry for on pieces of paper, and then they had the chance to toss them in the fire. As their regrets burned away, they were able to witness how God is all-forgiving. Pastor Josh told various stories about how despite shortcomings, God is always on our side. He told the story of how when a farmer's son asked for his inheritance early and went off and spent it all, when the son returned the farmer rejoiced. Just like the farmer who rejoiced, God rejoices whenever we return to him! The two songs that campers sang tonight were "Kumbaya", and "I Have Decided to Follow Jesus". Although it is quite sad that this was the last night of the week, it is quite remarkable at just how many campers have been positively impacted from the worshipping at Vesper Hill! 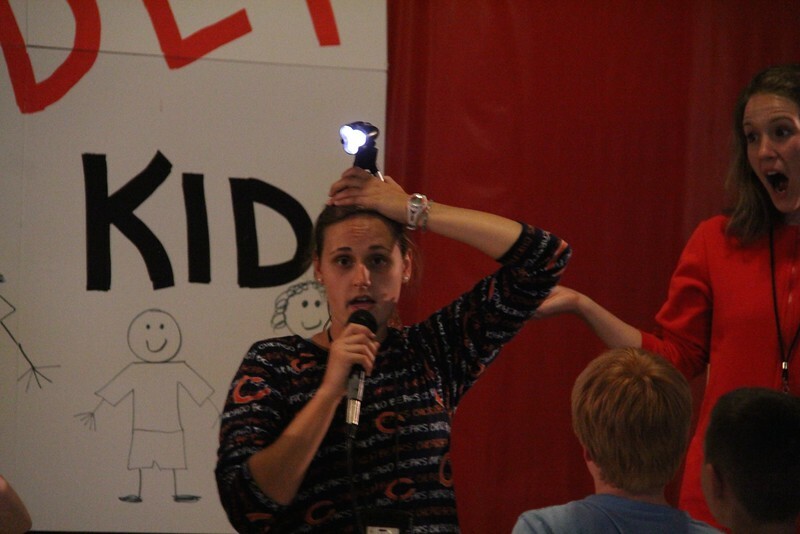 At tonight's talent show, campers were given the chance to showcase their unique skills! For more photos, click here! Also, be sure to check out this footage of the Squirrel Boys Harlem Shake! For dinner tonight, campers got to enjoy the classic combination of pizza, and breadsticks! Broccoli served as the side item, and dessert consisted of chocolate chip cookies! Today the campers focused on learning about how they can have Godly hearts by hearing the story of how David spared King Saul's life. Follow along by reading 1 Samuel 24. For breakfast this morning, campers ate burritos with eggs, cheese, and sausage. Hash brown triangles played the role of the side item in a very fulfilling and delicious meal! Tonight was a very special night here at Camp Lakewood. Tonight was commitment night, and although worship was moved indoors due to weather, campers were still given the opportunity to commit to following Jesus Christ. The songs that campers sang tonight included "Father Abraham", "Only a Boy Named David", "Kumbaya", and "I Have Decided to Follow Jesus". Before everyone sat in front of the fire, time was allowed for campers to speak to God through the covenant of silence. After Pastor Josh talked about how David spared Saul's life, counselors gave their testimonies about how they came to follow Jesus. Finally, campers were given the chance to commit to making Jesus their lifelong friend. Overall, tonight was absolutely amazing, and it is quite refreshing to see so many children so eager to make Jesus a bigger part of their lives. Tonight's evening extravaganza consisted of the classic camp game "Dutch Auction". Cabin teams were forced to work together to create inventions that the emcee could use. Although there is technically a point system (One that nobody truly understands), everyone mainly plays for the enjoyment of helping out their fellow cabin mates! For more photos from tonight's game, click here! 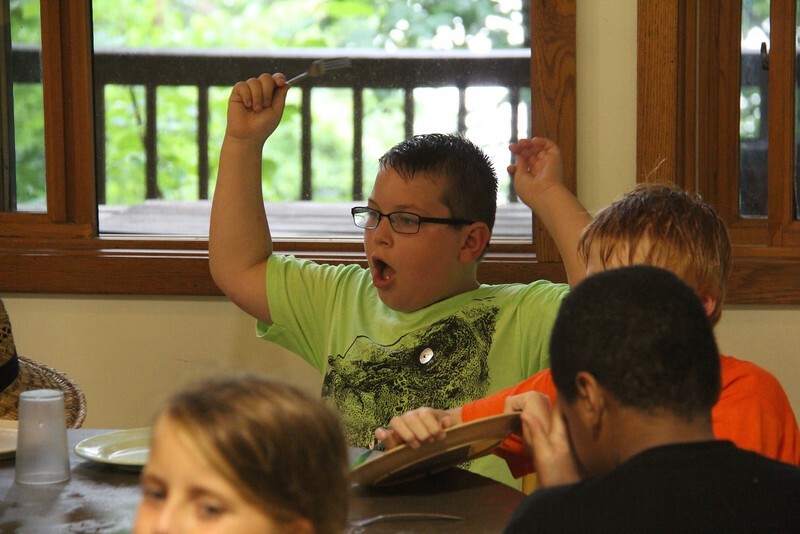 For dinner tonight, campers enjoyed a tasty meal of beef & noodles, mashed potatoes, and green beans. For dessert there were freshly baked, and warm brownies! Check out this video of campers singing one of our favorite camp prayers, "The Johnny Appleseed Prayer"! ###Scavenger Hunt ! (http://impact2818.smugmug.com/photos/i-vGHfV8G/0/L/i-vGHfV8G-L.jpg) At today's scavenger hunt, the silly squirrel boys were able to find the multimedia storyteller and get their picture taken after singing a rendition of the *Little Einstein's* theme song! ###Lunch Today at lunch, campers got to chow down on some chicken tenders, potato wedges, corn, and peaches for dessert. It was quite the meal, and no one left hungry! Today at Hoopla, campers got to partake in a variety of fun games including "Fishy Fishy", and "Wax Museum"! For more photos click here! Today, campers learned more about Godly victory by continuing to discuss the story of David defeating Goliath. Follow along by reading 1 Samuel 17. For breakfast this morning, campers got to enjoy scrambled eggs, cheesy hash browns, and one of the greatest breakfast creation of all time...BACON! Today looks to be a great one here at beautiful Camp Lakewood!
! (/content/images/2015/07/tuesday-wednesday-6.png) ###Worship Blog ! (http://impact2818.smugmug.com/photos/i-CdRmqPX/0/L/i-CdRmqPX-L.jpg) During tonight's worship at Vesper Hill, Pastor Josh talked to the campers about Godly Victory, by reading them the story of David defeating Goliath. 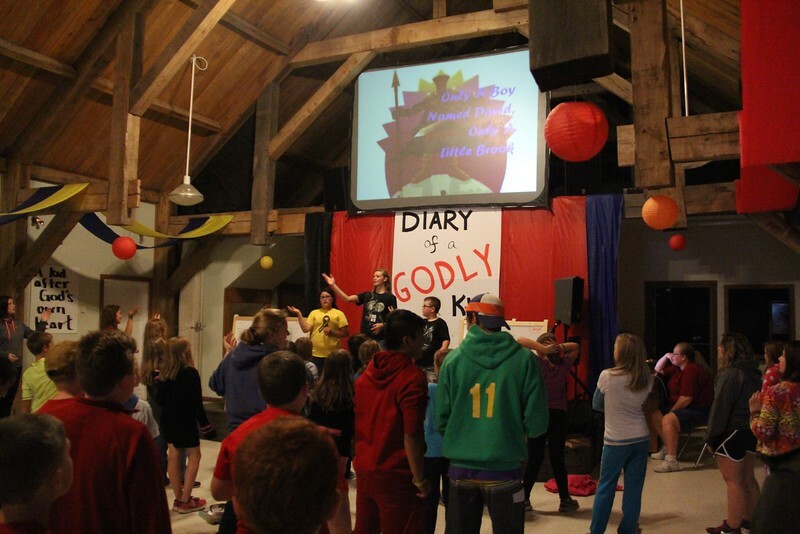 To begin worship, all of the campers read [Psalm 115:13](https://www.bible.com/bible/111/psa.115.13.niv). Then, the squirrel girls sang "Kumbaya" like they did last night, but with even more spirit! Then, Pastor Josh talked about how everyone can be scared at times, but overcoming that fear by simply knowing that God is on your side is incredibly important! We closed out the worship by singing "I Have Decided to Follow Jesus"! Tomorrow night is commitment night, and it is quite evident that many campers are looking forward to making Jesus Christ their forever friend! ###Hero Hunt ! (http://impact2818.smugmug.com/photos/i-rbJ9jPc/0/L/i-rbJ9jPc-L.jpg) For tonight's evening extravaganza, campers got to take part in the classic Camp Lakewood game "Hero Hunt"! Staff members hid throughout the camp, and cabin groups needed to lock arms and capture them. Check out more photos of the hunt [here](http://impact2818.smugmug.com/Camp-Lakewood/Lakewood-2015-July-510/n-5ZNNgN/)! For dinner tonight, campers got to enjoy breaded chicken sandwiches, mac & cheese, broccoli, and chocolate chip cookies for dessert! It was a meal that was enjoyed by all! 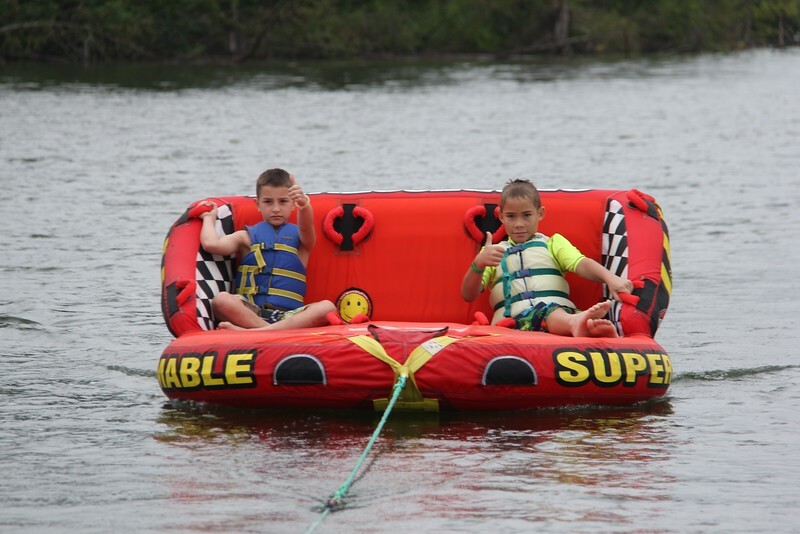 Check out these two brave campers who went tubing out on the lake! Be sure to also look at other photos from camp at our SmugMug Gallery! For lunch today campers got to enjoy a tradition here at Camp Lakewood. A tradition known by no other name but TACO TUESDAY! Campers got to eat their fill of soft beef tacos, Spanish rice, nachos, and churros for dessert! For more photos of today's festivities, check out our SmugMug gallery here! Today the campers learned about Godly Service by hearing the story of David playing the harp for Saul. Follow along by reading 1 Samuel 16:14-23. For breakfast this morning, campers got to enjoy a southern style meal in the form of biscuits & gravy, and hash brown triangles. Despite the rain, spirits remain high! Tonight at Vesper Hill, Pastor Josh talked to the campers about Godly service. He read from 1 Samuel 16:14-23, which is the story of David playing the harp for a troubled King Saul. Pastor Josh went on to talk about how God uses our talents to ensure the lives of others are made better. He started out working with youth groups, and eventually made his way to being the pastor for an entire congregation. God puts us in situations where we can help our fellow brothers and sisters, and we must answer the call. Music featured tonight included "Kumbaya" (sung by the Squirrel Girls), and "I Have Decided to Follow Jesus". These campers are beginning to realize just how awesome our God truly is! For dinner tonight, campers got to enjoy lasagna rollups, breadsticks, and green beans. Campers then found out that there would be chocolate cake for dessert! For lunch today, campers got to enjoy corn dogs, tater tots, California blend vegetables, and pears. Now it's off to horizontal hour before afternoon activities! Check out the turbo turtles this morning as they partake in the rubber duck kayaking game! 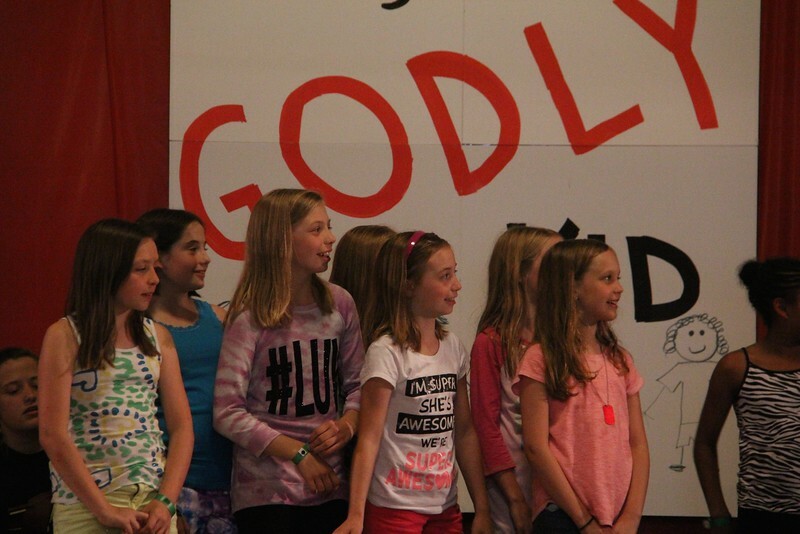 During discovery time, the campers continued to learn about Godly Plans. Follow along by reading 1 Samuel 16:1-13. For breakfast this morning, campers got to munch on pancakes, sausage links, and crispy potatoes! They will certainly need the energy for a morning of fun activities!
! (/content/images/2015/07/sunday-monday-3.png) ###Worship Blog ! (http://impact2818.smugmug.com/photos/i-B8Dcv8F/0/L/i-B8Dcv8F-L.jpg) Tonight at Vesper Hill, the campers were able to get a taste of the amazing spiritual journey that they have in store for them this week! Pastor Josh first opened up worship by teaching everyone the song "I Have Decided to Follow Jesus". 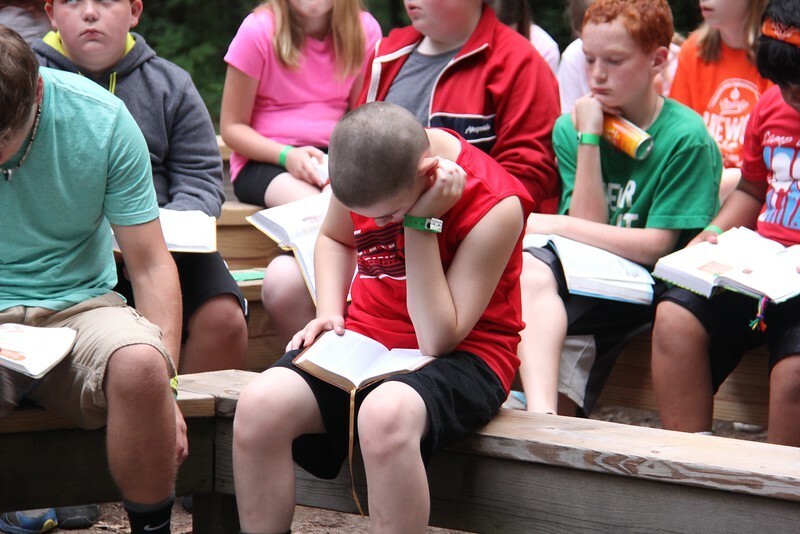 After they sang, campers read from [1 Samuel 16:1-13](https://www.bible.com/bible/111/1sa.16.1-13.niv). The story of Samuel anointing David is proof that God has big plans for everyone, no matter how small they are. Pastor Josh then closed with the story of Hattie Mae Wiatt. A little girl who raised enough money so that her church in Philadelphia could expand and reach more people. Although she was small, God worked through her in order to reach more people. Tonight's worship was just a preview of what's to come later in the week, but it was awesome nonetheless! For dinner tonight, campers got to enjoy hamburgers, french fries, corn, and a special surprise for dessert! When Director Amanda announced that there would be chocolate pudding, the whole dining hall went wild!